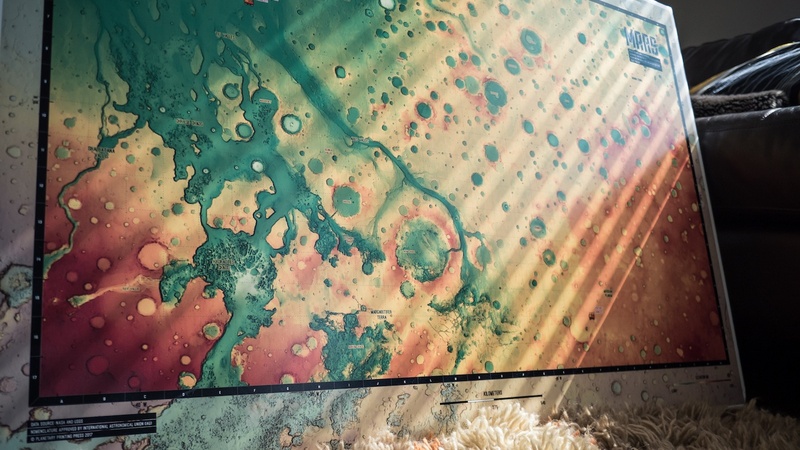 Display your affinity for space exploration with pride with the MARS Ultra Large Maps which depict Mars in all its colourful glory. 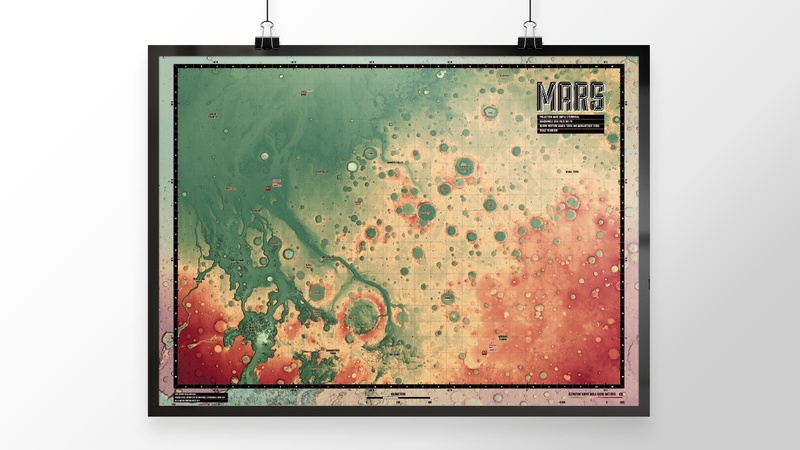 Display your affinity for space exploration with pride through the MARS Ultra Large Maps. 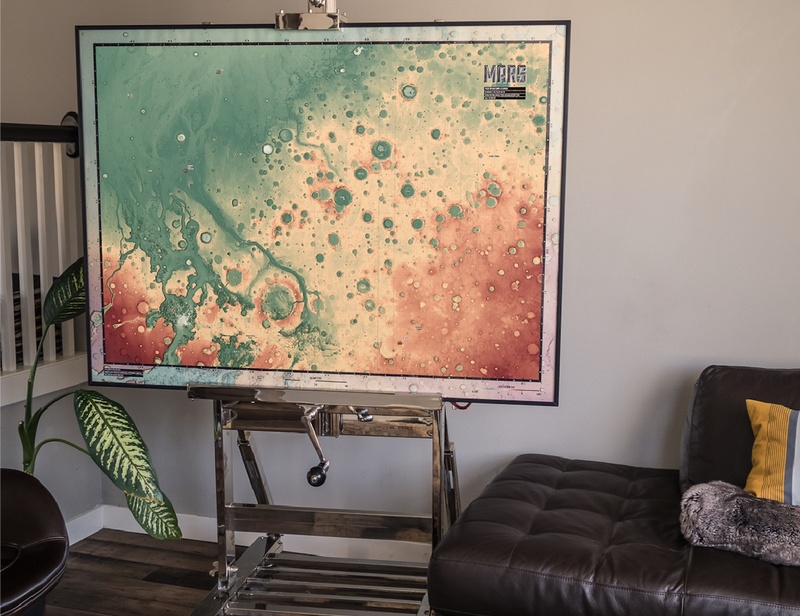 Each print is centered on Oxia Palus, one of 30 quadrangles of Mars referenced by the USGS Astrogeology Research Program. 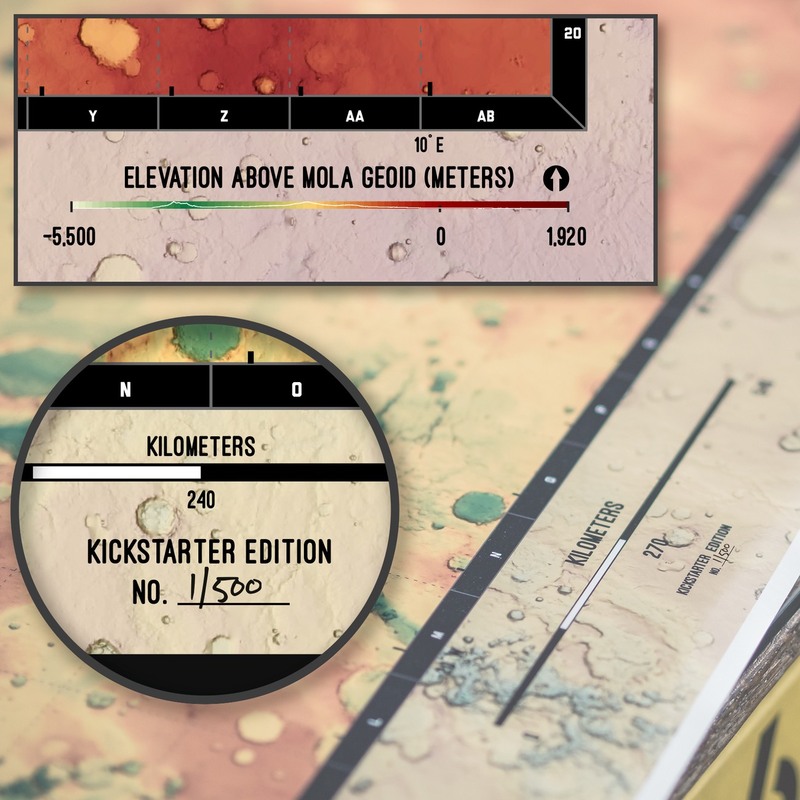 Every map includes an elevation guide, a scale bar, and are individually hand-numbered Kickstarter editions (out of 500). 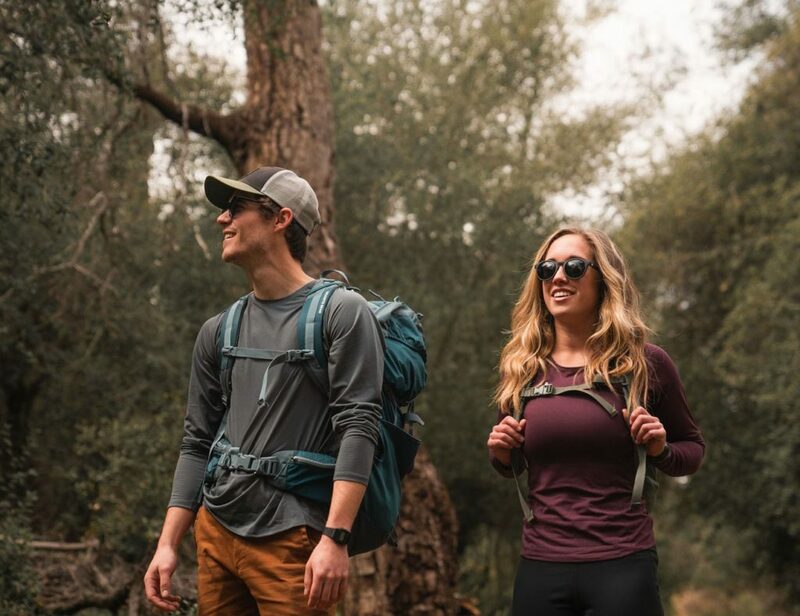 Celebrate the importance of exploration by humans, the progress we’ve made so far, and the great lengths we have yet to accomplish. 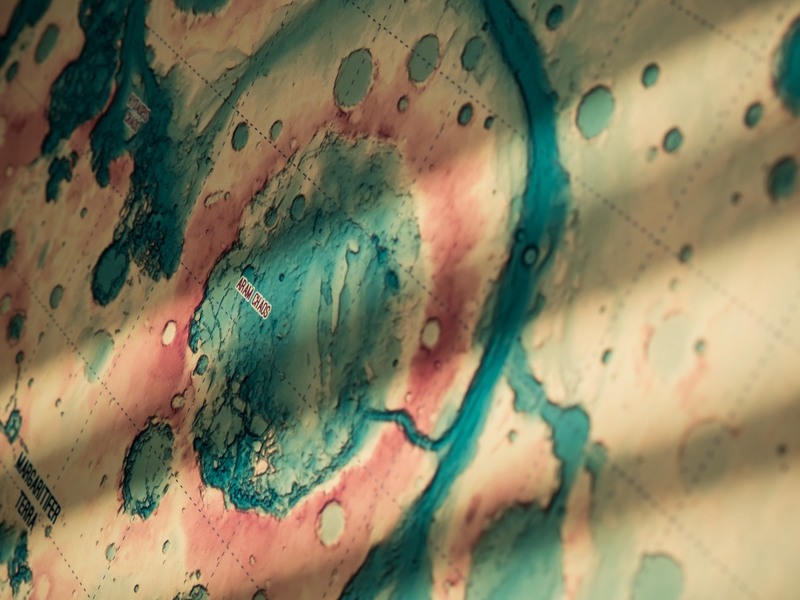 Each Mars Map is printed with UV resistant ink onarchival grade, matte paper. 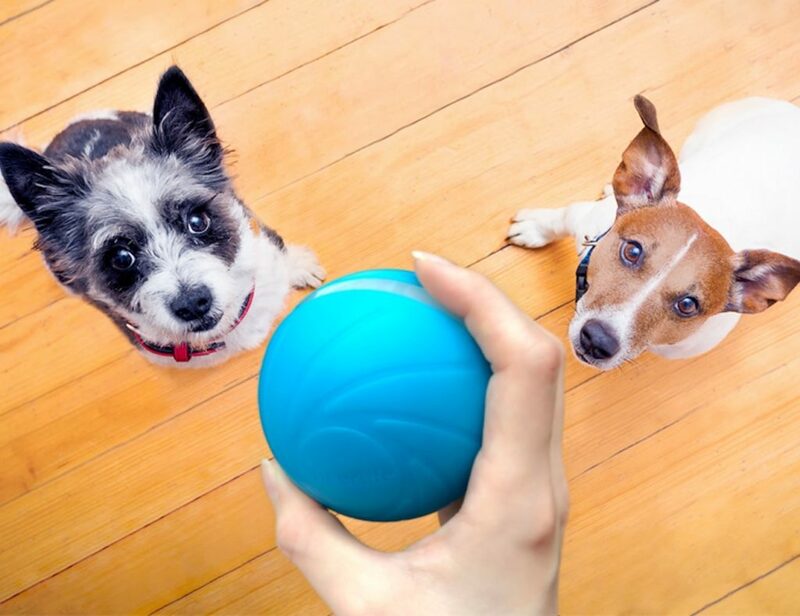 The maps are available as 36×48, 24×36, and 18×24 prints as well as a set of five 4×4-inch stickers. 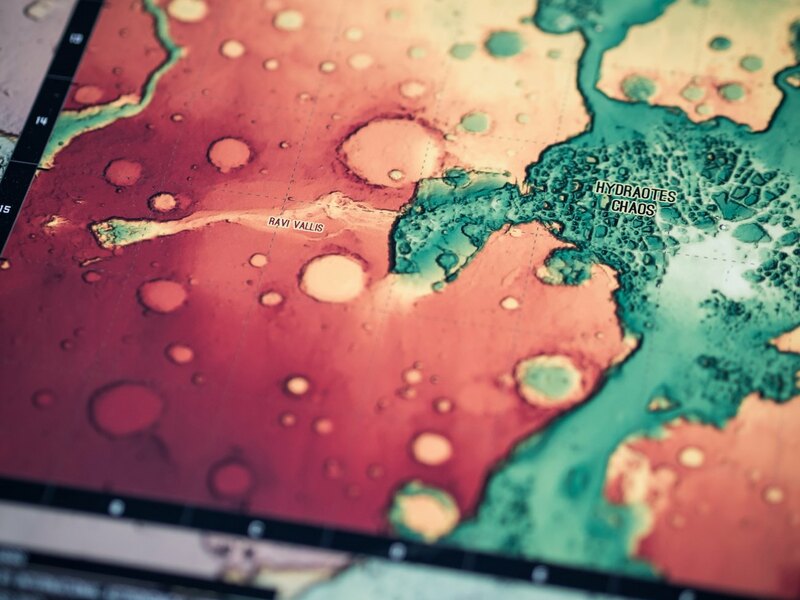 With proper care, these maps will last long after the first humans set foot on Mars.